Katharine enjoys luxurious, natural health and beauty products and likes to share her finds. Did you know that in the process of making most commercially sold soaps, the glycerine, which is the main moisturizing ingredient, is removed? Did you know that many have alcohol or other caustic ingredients? Or that the color additives can be damaging to the skin? About three years ago, I was browsing on eBay and came across some handmade soaps. I am very sensitive to smell, so I appreciate a fragrant soap, and this soap maker was describing how nice her natural soaps smelled. I decided to order. Since then, I have never used commercial soap again! Yes, handmade soaps will cost you more than the store-bought stuff. But, to me, it is well worth the extra money to have a product that is all natural, eco-friendly, good for my skin, and full of rich lather and intoxicating fragrance, especially a product that I use every day! There are various processes by which soap can be made at home. Having experimented with several soap makers, I can proclaim with some authority that the cold process method yields the highest quality soap. The cold process involves the careful blending of natural oils such as olive oil, cocoa butter or emu oil, sodium hydroxide as the emulsifier, and a natural liquid which could be goat's milk, herbal teas, distilled water or aloe. 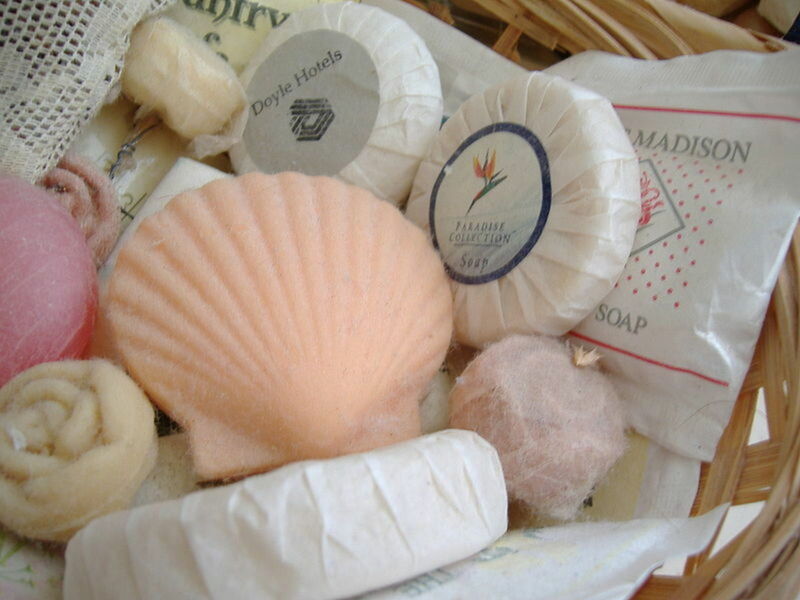 It is acceptable to buy from a soap maker who uses minimal amounts of preservatives in their soaps. 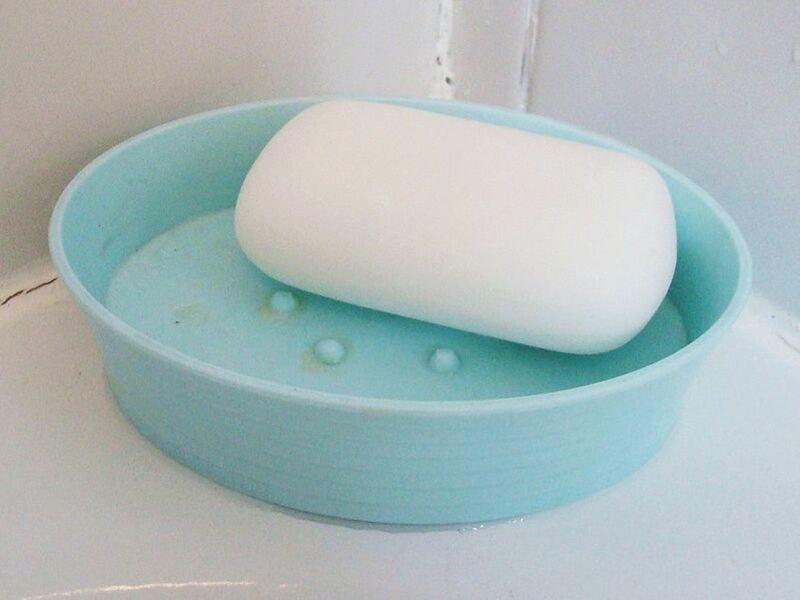 These prevent your natural soap from mold and bacterial growth, and they are still far lower in preservative concentration than you will find in commercially made soaps. Olive oil is a wonderful base for handmade soap. 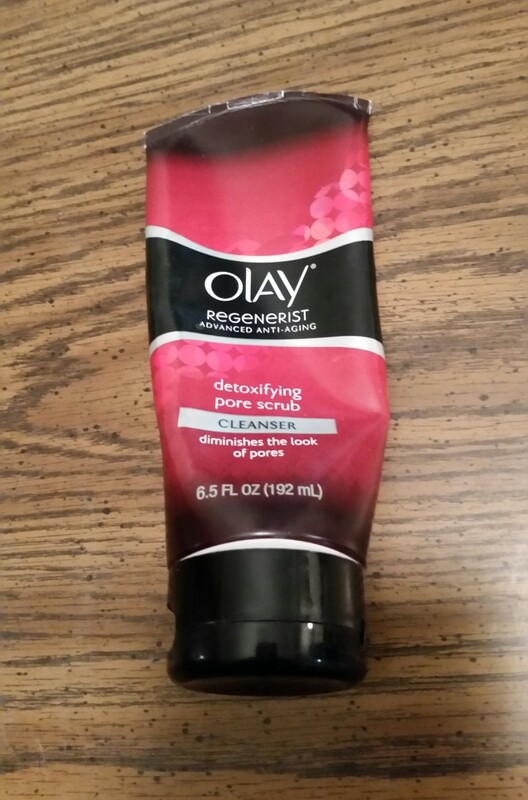 It is gentle and moisturizing to the skin and creates a smooth and silky texture. In fact, olive oil actually absorbs moisture from the air around it, adding additional healing power to its benefits. In addition, it is a well-known anti-oxidant agent. When you look for handmade soaps to buy, I would recommend trying those with an olive oil base. 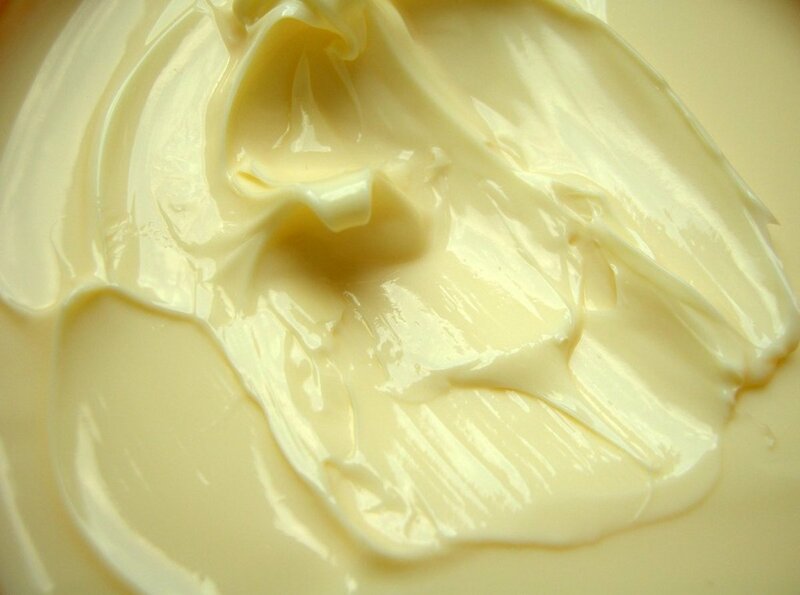 Shea butter is another oil that is wonderfully moisturizing. 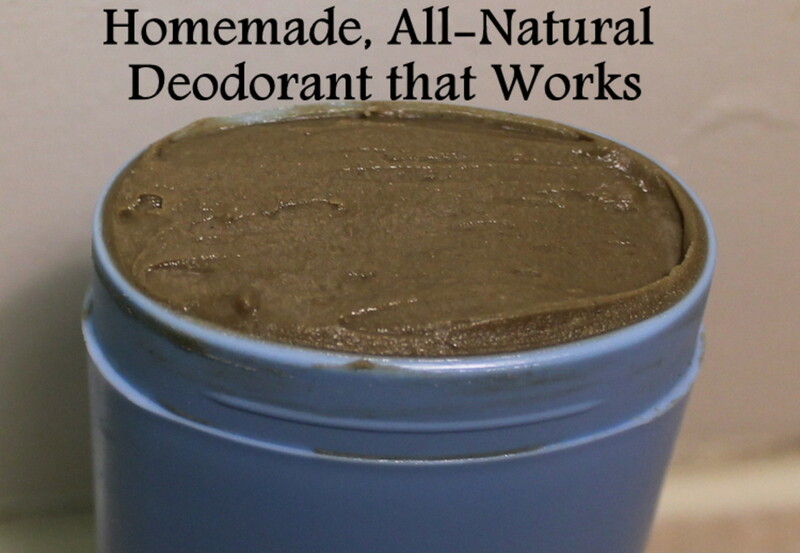 This buttery substance comes from the seeds of the Africa Shea Tree. It is rich and creamy and has anti-aging properties such as promoting skin cell regeneration and increasing capillary circulation to the skin, which brings nutritious blood to the skin's surface to nourish and heal. It is also rich in vitamins A and E.
Another recommended ingredient when you are shopping for handmade soaps is cocoa butter. This substance is a very good moisturizer and serves as a barrier to hold moisture under the skin's surface, promoting soft, smooth skin. Some other oils to look for include jojoba oil, tea tree oil, hemp oil, and avocado oil. All have benefits for healthier skin and are excellent moisturizers. Coconut, palm kernel oil and castor oil are often added to create lather, much better for your skin than the detergents used in store-bought soaps! Finally, if you can find a soap maker who uses Emu oil, I would recommend that you try it.The Emu is raised in Australia as a food source. Its oil has been used by the aboriginal people for centuries for its healing properties. In soap, it adds a noticeable richness to the lather, and leaves your skin extra soft and pliable. 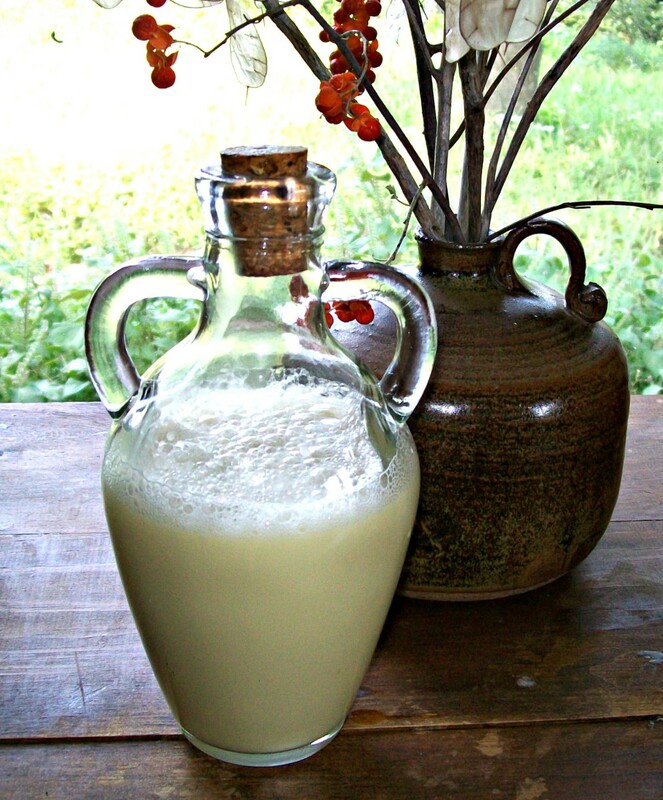 For the liquid base, goat's milk is an excellent alternative to distilled water in the soap making process. Goat milk is high in fat, and its ph level is close to that of human skin, so it isn't harsh like commercial soaps can be. It is also loaded with proteins, enzymes and vitamin A, and its creamy smooth texture creates a pleasant richness to the handmade soap. 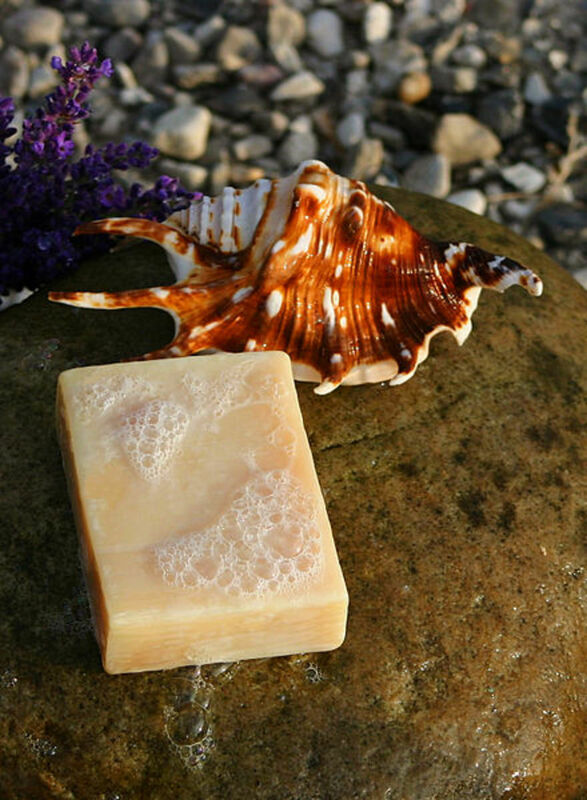 Goat milk soap is my handmade soap of choice because of the rich, milky foam it makes. A good soap maker will use essential oils for fragrance, much preferable to the cheap, alcohol-based perfumes used in commercially prepared soaps. Oil-based fragrances are also acceptable, and natural ingredients such as rose petals or herbs can add a natural scent to your soap. In addition, ingredients such as poppy seed, oatmeal, or other grains or plant materials can be added as an exfoliating agent. Since artificial coloring is not used in natural handmade soaps, your soap may not be the color you would expect it to be. Don't let this put you off! All you need do is hold it up to your nose and sniff, and you'll be convinced of its quality. Some soap makers do use vegetable based colorants, and this is fine. Try My Favorite Handmade Soap! This lovingly handmade soap is among my favorites because it includes my favorite ingredients. I find goats milk soaps to be smooth, foamy, and soothing while oatmeal gently exfoliates and olive oil leaves skin moistened and soft. Try this soap and decide if these are your favorite ingredients as well, and leave a comment about what you discover! There is even an unscented variety available for those with allergies or who prefer no lingering scent. Feel free to contact the seller, who is very responsive to questions and comments. Have You or Do You Use Handmade Soaps? Yup, it's all I use! Well worth the price. No, I prefer body wash to bar soap. No, I've never tried them, but now I will! Yes, I find them to be too expensive for everyday use. I would recommend trying a few different soap makers who use the ingredients listed above, and the cold process method. When you get your soap, you should be enjoying a rich, sudsy lather that infuses your whole bathroom with its fragrance as you shower, and leaves your skin soft, smooth, gently scented, and free of residue or soap film. 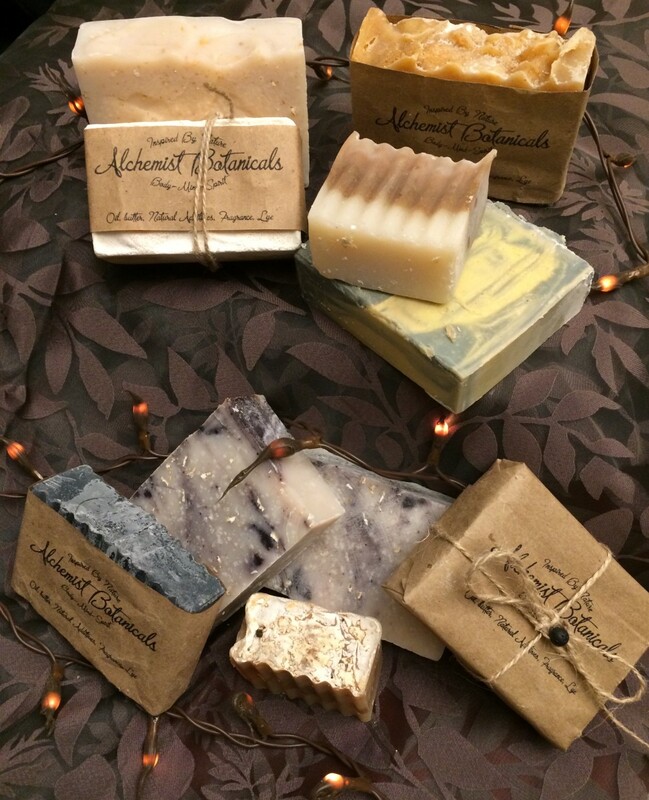 My personal favorites are goats milk or olive oil based lemon and lavender scented soaps! The best place to start when looking for handmade soap makers is the Handcrafted Soap and Cosmetic Guild. Here you can search by U.S. state as well as Canada and worldwide for soap makers, most of whom have websites listed. These are all soap makers who sell their products online and will mail your selections to you. You might also find local soap makers who may participate in craft shows or farmers markets nearby. As soaps are fairly heavy items, you may want to try some smaller, sample-sized bars first. Many soap makers offer a selection of discarded pieces of soap from the ends of the soap cakes which are cut off in the process of shaping the bars. This way, you can sample several varieties, without having to make a major investment in shipping costs in order to try the soap maker's product. If you find you like the soap that you order, check your supplier's website for additional products. Many handmade soap makers branch out and create wonderful shower gel, shampoos, body balm or lip moisturizers. Chances are if they make a quality soap, you'll enjoy their other natural products. And don't forget to shop for men's products as well. There are fabulous scents geared toward men, and you just may convert him to loving homemade soaps! Once you find a soap maker who you like, it is worth it to purchase as many bars at one time as possible to save on the shipping costs. I still think that handmade soaps are worth the extra expense since I have noticed that these bars are denser than regular soaps and last much longer. Because of this, the expense per bar is not as much as it may seem at first. So, go ahead! Explore the list of soap makers, look for quality ingredients, and try some luxurious handmade soaps! You deserve it! Congratulations on your hubnuggets nomination. Thanks for all the good ideas. Yes, we deserve to pamper ourselves indeed! "I would recommend trying a few different soap makers who use the ingredients listed above, and the cold process method." - I couldn't agree more. It's quite important not to use heat during the soap-making process so that all the natural benefits of the oils and other ingredients would be retained in the soap. Here in Asia, we use virgin coconut oil in our handmade soaps. It is an excellent skin moisturizer and has proven healing powers.